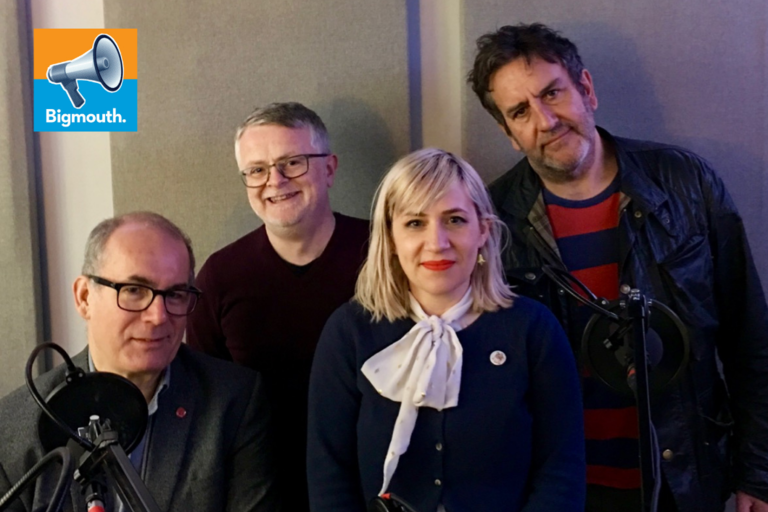 It’s a legend-heavy podcast this week as we welcome TERRY HALL of The Specials to talk about the rebirth of every rude boy and girl’s favourite band – and music press and TV comedy giant DAVID QUANTICK of The Day Today and Veep fame. On the agenda: Is Ricky Gervais’s new Netflix comedy AFTER LIFE brave, bold, funny… or just obnoxious egotism? And do we prefer DERRY GIRLS, TV’s premier all-girl comedy based on religious sectarianism, the threat of terrorism and Take That? Plus we get on the analyst’s couch with London hip hop debutant DAVE – that’s his name, how hip hop is that? – to unpick his debut album ‘Psychotherapy’. All this and more we bring to you. Get every episode of BIGMOUTH a day early, plus the famous EXTRA BIT, when you back us on the crowdfunding platform Patreon.